Hot dogs never tasted so good! 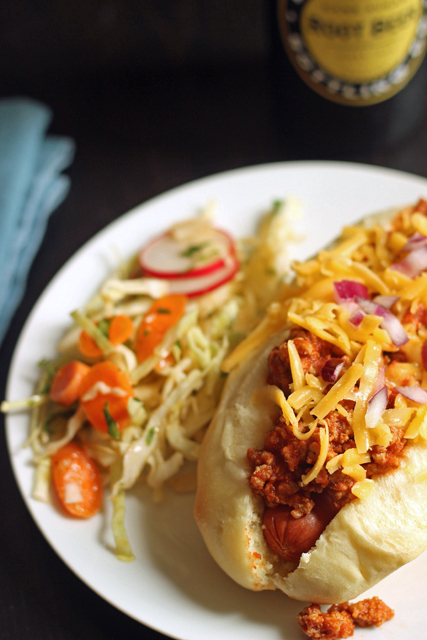 Make these homemade hot dog buns to wow your guests at your next backyard barbecue. These are a regular item on our menu. Yes, it might be cheaper to buy those grocery store sponges impersonating as hot dog buns when they go on sale, but these are goooooood. If you have a bread machine, making your own buns is quick work. Form the dough into rounds if you want hamburger buns. If you don’t have a bread machine, that’s fine. Mix the dough by hand or in a stand mixer. Either way it will be delicious. Other tools that I find handy include: a large cutting board for working the dough, a bench knife for easily cutting it into portions, and a silpat baking mat for easy cleanup. If you don’t have a sheet pan, consider getting a sturdy one like this. This recipe is adapted from one in Beth Hensperger’s The Bread Lover’s Bread Machine Cookbook. Her way is great, but I don’t always have some of the ingredients she lists, so I’ve improvised this way. Please note the dough can also be made into rounds to serve as hamburger buns. Consider making fancy hamburger buns. If making the dough by hand or in a stand mixer, warm the milk slightly. Combine the milk, egg, oil, sugar, and yeast in a large bowl. Allow to proof for five minutes. Stir in the flour, vital wheat gluten, and salt. This will form a stiff dough. Knead by hand on a floured surface or in the mixer with the bread hook until the dough is smooth and elastic. Place the dough in a greased bowl and allow to rise until doubled in bulk, about one hour. When the dough is ready, divide into 12 equal portions. Form each portion into a thin loaf for hot dog buns. (You can form flat rounds for hamburger buns.) Place these on a baking sheet lined with parchment or a silpat mat. Cover loosely with plastic wrap and allow to rest for 30 minutes. Preheat oven to 375°F. Bake for 15-22 minutes, until lightly browned. Cool on a rack before slicing to serve. To freeze: store cooled rolls in an airtight container in the freezer. Thaw at room temperature before serving. Do you happen to know of a non-dairy substitute for the milk? Do you think water would work? Or juice of some kind? Thanks! Hi there! 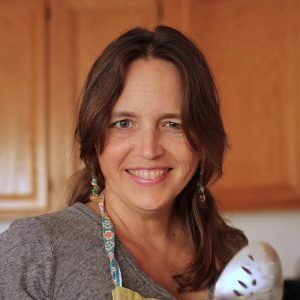 I’m new to both your blogs and can’t wait to read more:) I have a question, though: what is vital wheat gluten and can you get it in a normal grocery store? Thanks so much! I have bought it at a number of regular grocery stores including Walmart. It is in the baking aisle and it is a component of wheat that helps make bread fluffy. Thanks for reading. Welcome! Bonnie, cooking has become my thing while my husband studies for his step 1 dental boards. I don’t know how you do it with kids too! BTW I used regular non bleached flour and they look amazing, although I haven’t eaten on yet. Question: if I don’t have a bread machine, should I let the dough rise for an hour or so before shaping it into buns? I’m not sure what has happened in the bread machine once it says “done” 🙂 Thanks!! Help! I am a new bread baker & still figuring out my technique. I tried to make hotdog buns today & they didn’t turn out all that well! My dough was really sticky when I first mixed it – so I added about 1/2 cup extra flour. It came out like normal bread dough…is that right or is a very sticky mix? I also wasn’t sure how long / thin to roll out the hotdog buns? When I tried to roll the dough it was quite stretchy & elastic – not easy to shape. Do you have any tips on shaping the hotdog buns? My final buns look ok, but they seem to a bit small and not all that “hotdog bun” like. I will definately try this recipe again – any tips will be much appreciated! @MJ – I substitute almond or soy milk in my bread machine recipes all the time for regular milk. Just make sure it is “plain” or “unsweetened” – not the vanilla kind. I would love to try these today, but don’t have the vital wheat gluten. How will that change the texture? Would it be better to hold off? I tried these tonight! I used water instead of milk and half olive oil and half canola. And no wheat gluten. The flavor and texture were fabulous, but I had to knead at least a cup of flour into the dough after rising to make it manageable-it was way too thin! Is this the way it’s supposed to be? It may be due to your substitutions. That’s not been my experience with the dough. Hi, I have tried many of your recipes and love them. I can’t seem to get hamburger buns to rise enough. This is my second recipe I have made an attempt at and no success. My dough was real sticky too, when I took it out of the bread machine. I followed the recipe exactly. I sprinkled a little flour on them so I could handle it. They did rise after shaping, but seem to flatten some when cooking. Am I handling the dough too much? I am not really sure. I haven’t had that problem provided I give them enough time to rise. Is your yeast fresh? I have 6 of these buns cooling for dinner in a bit as I write this! They look and smell great, and I’m sure they will taste good too. I followed the recipe exactly, using white sugar as my sweetener, except for the wheat gluten (which I don’t have). The dough was easy to work with and I managed to get them into something resembling a hot dog bun shape with ease. 16 minutes worked in my hot oven. Hi, I made these rolls today (used 1/2 whole wheat and 1/2 bread flour) and they were SO good (light, fluffy and a little sweet) – little sticky coming out of the machine but I just floured the board – I will definately be making these again and I’ll do the hamburger rolls too. Thank you for the recipe!!! Always remember that weather conditions, altitude, type of flour can affect your dough. I have used a recipe many times and had different results. I think it’s part science and part luck. You can always make the bread into breadcrumbs if the buns/bread doesn’t turn out! My 3-year old insisted on making the “hotdog buns” again today! (NOT the other bread we usually make.) My family really likes these. I made this recipe twice, once with homemade almond milk, once with regular milk, and both times without the gluten. Both turned out about the same. I think other non-dairy milks will work just fine, too. Thanks for the recipe! These look great! Is the final product freezer friendly? @megan, we rarely have enough to freeze. Our family eats a batch in one sitting. But, yes, cooled and wrapped well, they are great to freeze. I get a big bulk package of SAF from Costco and store the extra in the freezer. Any quick type yeast should work, though I’m not entirely sure about how they differ. Bread questions: I’m a new(er) bread maker. I made honey wheat bread last weekend. made two perfect loafs and instead of a third loaf, I tried to shape hamburger buns. Although the loaves were great, the buns were too hard and didn’t rise well (seemed too flat for me). also, I shaped them on a pan, covered them with a cloth and let them rise in the (turned off) oven, the cloth ended up sticking to all of the buns. Any suggestions? Why do you use bread flour instead of regular flour (I don’t know the difference?) Why are you using gluten? I’ve never used that in a bread recipe? Does this affect the softness of the buns? Are you using regular yeast or bread machine/quick rising yeast? @Susan, I’m going to say that bun dough has a softer texture. What was in your bread dough? Milk and eggs will give a softer texture. If you’re new to bread machines, I highly recommend this book: http://www.amazon.com/gp/product/155832156X/ref=as_li_ss_tl?ie=UTF8&camp=1789&creative=390957&creativeASIN=155832156X&linkCode=as2&tag=oflwtf-20 I bought it when I got my first machine and the first few chapters are amazingly helpful to understanding how the machine works and how to achieve desired results in bread. The added gluten, as it explains, helps to create those air holes that give bread a great texture. Are these buns when finished baking the length of a hot dog? That would depend on how you shape them. I make sure that they are the lengths that I want, depending on what sausage I have. I have another question. This hot dog bun dough seems to be a 31% hydration dough. I have a recipe for white sandwich bread at a 63% hydration. The hot dog bun dough seems a little dry, is it hard to work with? I wonder if this recipe could be made with the higher hydration. What would happen? It sounds like you are more expert at baking science than I am. It is not a “puffy” dough. I’d love to hear what experimentations you do. How important is the vital wheat gluten? I make a few breads from scratch but none of them call for vital wheat gluten. I hate to buy something I won’t use. It really does improve the texture of the bread, but I haven’t bought it in a few years. I like using it and would if I had it. Just wanted to say that we love these! I have not bought buns at the store since I found this recipe. We all love it! I usually make hamburger buns and today I did hot dog buns. 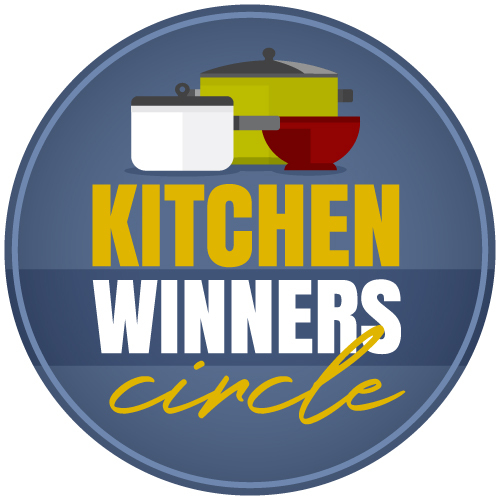 Thanks so much for all the awesome recipes and ideas! I have made this recipe twice–once for hamburgers, once for sausages. It was fabulous both times. I would love to use the bread machine to make the dough for a whole wheat sandwich bread, but am having trouble finding a recipe that sounds good. Do you think I could make a loaf out of this dough? I think it would work just fine. Sounds yummy! Have had the intention of making these for hamburgers for close to a year…finally made them and they are fabulous! Didn’t have any of the wheat gluten might be even better if I used that too! I just bought my first box of vital wheat gluten in years. You can totally make them without, though the texture is improved. Since taking that picture in the post, I don’t think I’ve ever got them looking that good. Do these buns freeze well? If they last long enough to freeze, yes. 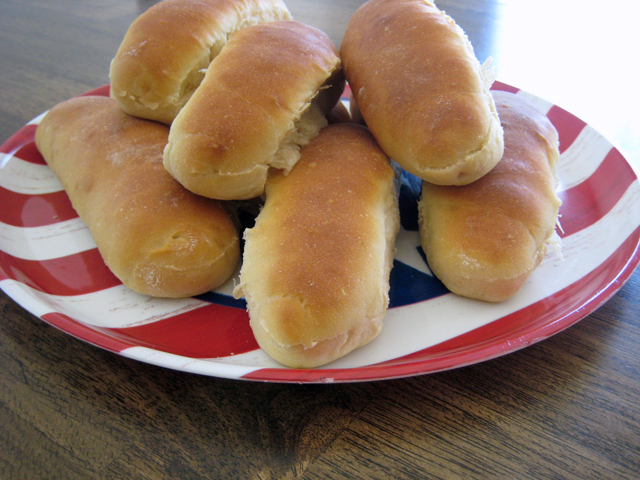 Jessica, we LOVE this recipe for hotdog and hamburger buns! We haven’t bought buns since trying these. I also watched the Kaiser roll tutorial and make mine that way and they’re so pretty! Here’s my question: have you ever shaped the dough into a loaf? I want to make my own bread to avoid the soy in all store-bought loaves and am afraid to try just any recipe. I love this bread so wonder if it might work? Would it make 1 4.5″x8.5″? I’ll go ahead and try it out this afternoon. After the 1.5 hour dough cycle, I plan to let it rise in the loaf pan about 30-45 minutes before baking. We’ll see how it turns out. Thanks again for the awesome recipe! I’ve never tried it, but your plan sounds like it should work. Let us know! It made 2 delicious loaves of soft sandwich bread – I’m so excited! I used 2 cups unbleached white flour, 1 1/2 cups white whole wheat, and 1/2 cup regular whole wheat. I also used 3 tablespoons of honey. I greased 2 loaf pans, let it rest about an hour, then baked at 375 for 30-40 mins (didn’t time it exactly), using a foil sheet to keep it from over browning. It’s soft and tasty, just like the buns, and should make awesome toast and sandwiches! Thanks so much, Jessica! 🙂 Happy school season, by the way. I begin teaching my oldest of 4 this fall. We’re following a lot of The Well Trained Mind, as well. 🙂 I’m so encouraged by your blog as another Christian homeschooling mommy trying to eat well (real food) on a tight budget. God bless you! Yay! So glad that worked out for you and that you are enjoying life as mom — in all ways. 😉 Enjoy some yummy sandwiches! These came out great! Had to make some substitutions (olive oil) and used 1/2 bread and 1/2 white whole wheat flour per some of the comments left. Don’t have a bread machine so I used my mixer and proofed the yeast with warm milk beforehand. Made them into mini kaiser buns after seeing the tutorial on how to make them so easily. Thanks for the recipe! I will definitely be making these again and these have joined my ranks of recipes worthy of hostess gifts! Made them today and they are FANTASTIC!! I followed your recipe exactly. Thanks so much!! Would you please post a video on how you form your buns and slice them? I have tried so many times and they never turn out well. We already make hamburger buns and would love to add this to the list of stuff we make by scratch. Do you know that mine rarely look as good as they did when I took this picture? lol. I’ll see what I can do. We just kinda deal with them not looking “normal”. I have made these buns several times and they are a huge hit! I either bake them on a cookie sheet with a baking mat, or transfer them to a hot cast iron pizza pan after they’ve finished rising. With the baking mat, the bottoms are a little less done. With the cast iron, the shape gets messed up during the transfer. How do you bake them? If you use a cookie sheet without a baking mat, do you grease it first? I don’t like to grease my cookie sheets, but I’ve been hesitant to try without, as I don’t want my yummy buns stuck to the tray. Thanks! If I don’t use a silpat, I use parchment. I tried this recipe yesterday (without the vital wheat gluten) and it’s going to be our new go-too bun recipe. We have a bulk food store near us and I can get 10 lb of bread flour there for less than the price of 5 lb in the grocery store, it’s by far cheaper to make out own breads than to buy. Since I’m soon quitting my job to be a stay at home mom I’ve been making a lot more things from scratch to save money (though it’s tough to find time with a 2 month old). Thank you for this great recipe! Glad you enjoyed it! And YAY on staying home. I’ve never regretted that choice 17 years ago. I made these today. They are absolutelywonderful. So glad I found this recipe and will be making them again. 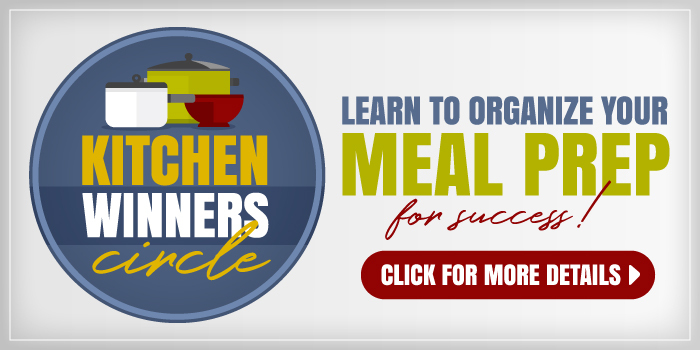 I love your website and have made several meals using your recipes. Thank you so much.. Thanks for letting me know. So glad you’re enjoying them! Can I use white whole wheat flour instead of the bread flour? You know, I just use whatever I have. Go a little less to allow for the whole grain, and you should be good. I was wondering if the images you posted of the buns the ones you made with this recipe? Also did you use the bread machine method or the mixer? Yes, those are the buns I make with this recipe. I used to use the bread machine, but now I use a Kitchenaid since my bread machine broke, and I didn’t replace it. I made these last night (minus the additional gluten) and they were amazing! Thanks! Jessica, does your recipe use fresh yeast? I use the SAF yeast I buy at Costco. Amazon carries it as well here.